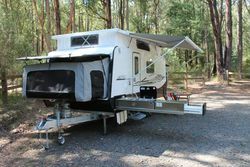 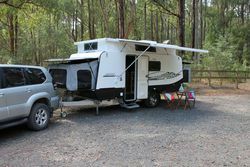 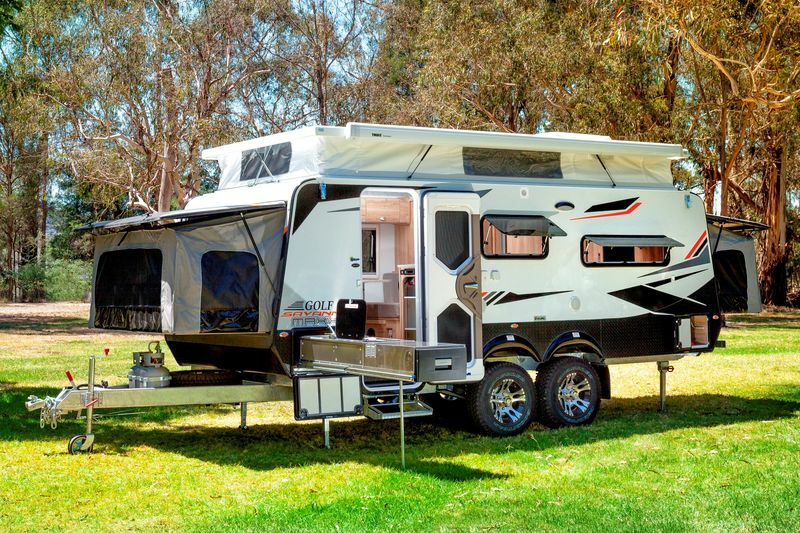 The Golf Savannah Maxxi is Golf's new foldout style pop top caravan. 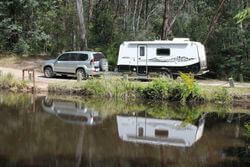 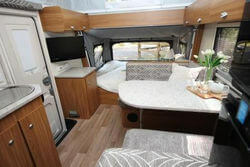 It boasts a smart and spacious layout with a large range of features all included as standard. 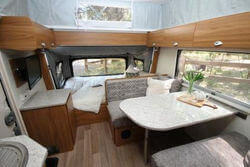 The production and design team at Golf have created this van to comfortably sleep up to 6 people while still incorporating the Golf Savannah’s more adventurous features such as independent coil suspension, dual water tanks, solar power, slide out kitchen complete with fridge and many more standard features to make it one of the smartest family adventure style caravans on the market. 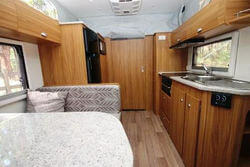 The smart design allows simple set up and pack down with two fold down double beds at either end of van, cafe dinette seating which also drops into a large double bed, giving greater options for the ever growing family while still including some of the creature comforts such as a spacious interior layout including a full en-suite with separate shower and toilet. 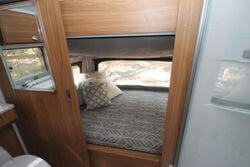 Also, the additional private rear bedroom which can be folded away when not in use which makes the Savannah Maxxi 501 unlike any other van in its class.